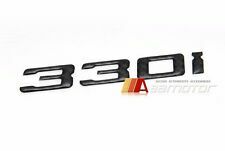 EVO 5 6 7 8 Carbon Fiber Trunk Lid Rear Badge Emblem. Make sure everyone knows how you roll with these cool carbon fiber Evo badges! Made from real carbon fiber! For EVO 5 6 7 or 8. Mitsubishi Evolution EVO 5. Your FR-S car will NOT be complete without this Real Carbon Handbrake! This kit includes: 1 x hand brake, 3 x Set Screw and 1 x Allen Wrench (Installation Tool). Style and performance both get an instant boost! Carbon Fiber E-Brake Handle (Black) for FR-S, BRZ, 2015 Impreza. 2015-2018 Subaru Impreza WRX STI. 2015-2018 Subaru Impreza WRX. This kit includes: 1 x hand brake, 2 x Set Screw and 1 x Allen Wrench (Installation Tool). 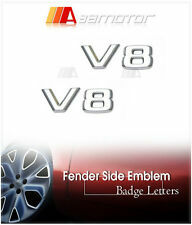 Emblem:V8 x2. We Stand Behind the Quality of Our Products and Service. Scion FR-S SUBARU BR-Z Carbon Fiber Intake Manifold Cover. Great looking and perfect to dress up your engine bay! This piece replaces the factory plastic intake manifold cover. Scion FR-S (USA). 2x2 Weaves Carbon Fiber. Automatic Transmission Pedal Set E30 E34 E36 E38 E65 X3 X5 Z3. Apart from improving the appearance of your car the pedals also improve pedal grip, and provide much better anti-slip characteristics than the OEM pedals. 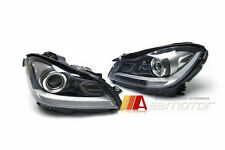 C63 STYLE LED DRL PROJECTOR HEADLIGHTS for W204 FACELIFT. The unique styling and professional quality are sure to get noticed! Easy Installation! Available for left-hand drive ( LHD only ). LED color: Amber. 2006-2009 BMW E93 Pre-LCI Convertible with M Tech front bumper (Pre-Facelift). 2006-2009 BMW E92 Pre-LCI Coupe with M Tech front bumper (Pre-Facelift). Now you can add both style and performance to yourBMW E92/E93 with just one mod! Sedan / Saloon; not for Wagon. 1 Carbon Rear Trunk Spoiler. Peal off the pre-installed 3M tape and fix on the right place. No need to drill any hole. Year 2012 . Type OEM Type. Emblem: V6 x2. Has your Benz been a victim of vandalism, had a slight fender-bender or just been around long enough for the emblems to lose their luster?. We Stand Behind the Quality of Our Products and Service. BMW E90 E92 E93 Titanium Tip Rear Exhaust System. E90 E92 E93 L6 (6 cylinder engine) sedan/saloon, coupe and cabriolet / convertible only. E9x L6 Sedan Coupe Convertible Titanium Tip Rear Exhaust System. 2001-2005 A4 B6, S4 and all quattro version sedan. Model A4 B6. Carbon Fiber Rear Trunk Spoiler. Peal off the pre-installed 3M tape and fix on the right place. No need to drill any hole. Fitting Made of high quality carbon fiber; ejected by blowing mold, impeccable matching. 2013 -2016 Maserati Quattroporte. 2014 - 2016 Maserati Ghibli. These high quality real carbon fiber mirror covers will go directly on top of your mirror covers to give your Maserati Ghibli/Quattroporte that extra touch of style! Model C207 Class E. Material Carbon Fiber Texture. Type Amg style; fits Coupe / Convertible; not for Sedan. Fits 2011 F10 Sedan F11 Wagon M Tech/M Sport bumper only. F10/F11 5-Series M Tech Bumper Carbon Fiber Diffuser Quad. When installed it will give you a lower profile in the rear and an overall more aggressive, cooler look! Model E92 3 Series. Fits 325i 328i 335i & M3. Note Not for Sedan. Made from carbon fiber with clear coat finish. 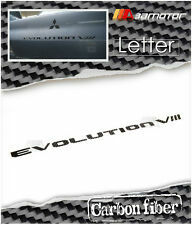 Real premium quality carbon fiber material manufactured to perfectly fit your EVO 7-9. Uses pre-applied 3M adhesive tape for easy installation, simple peel and stick, no drilling or cutting required! Your EVO car will NOT be complete without this Real Carbon Handbrake! This kit includes: 1 x hand brake, 2 x Set Screw and 1 x Allen Wrench (Installation Tool). Style and performance both get an instant boost! Give yourEVO 10 better looks and performance! TheseV Style Carbon Fiber Canards, attached to the front bumper of yourEVO 10 can modify the aerodynamic characteristics of the car, increasing front downforce when the balance of traction is unfavorably biased towards the rear wheels. The unique styling and professional quality are sure to get noticed! Available for both LHD and RHD vehicles. Headlights include a 1 year warranty. We Stand Behind the Quality of Our Products and Service. 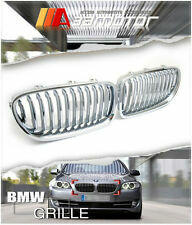 Now, give your BMW F10 / F11 a whole new, more sophisticated, aggressive and stylish look! Installation is literally a snap, and can be done by the owner in just minutes. 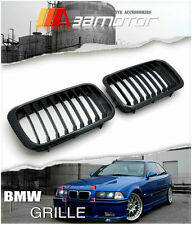 Simply remove the old factory grille and snap these on in their place! All new design! These pillar panel covers are made from real, high quality and authentic 3D Carbon Fiber ! These pillar panel sets for the W220 S-Class model are just the thing to give your S-Class a newer, sharper, more aggressive look! W204 Coupe Carbon Fiber AMG Rear Bumper Extensions. Note: This will not fit a normal W204 or C63 Sedan Models! Sold as a pair. FRP (Fiberglass Reinforced Plastic) and CFRP (Carbon Fiber Reinforced Plastic) finish. 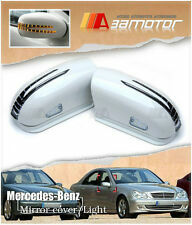 W204 C63 Facelift AMG Front Bumper Carbon Fiber Side Vent Covers. Thesecarbon fiber bumper side vents for your C63 Facelift AMG bumper are designed to allow cool air to flow directly to the air filter and help maintain lower temperature, and better fuel efficiency. Carbon Fiber AC Style Roof Spoiler for BMW F30 Sedan & F80 M3. This is AC Style roof spoiler for the BMW F30 4-door Sedan 3-Series & F80 M3 ! Now you can add both style and performance to your BMW with just one mod! This armrest lid cover for theEVO 7, 8 & 9 are just the thing to give yourEVO a newer, sharper, more aggressive look! Mitsubishi Evolution EVO 7. Mitsubishi Evolution EVO 8. Mitsubishi Evolution EVO 9. 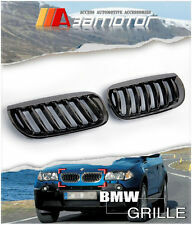 E82 E88 E81 E87 1-Series Dry Carbon Fiber Mirror Covers. These high quality real carbon fiber mirror covers will go directly on top of your mirror covers to give yourBMW E87 E81 E82 E88 that extra touch of style!Real premium quality carbon fiber material manufactured to perfectly fit yourBMW 1-Series. 2003-2010 BMWe60 / e61 5-Series all models withstandard rear bumper only. ( Will not fit onM5 Bumper ). We Stand Behind the Quality of Our Products and Service. Manual Transmission Pedal Set for BMWF30 F31 F34 F32 F33. BMW 4-Series 2-door Coupe (F32), 2-door C onvertible (F33). BMW 3-Series 4-door Sedan (F30), 5-door touring (F31), 5-door hatchback (F34). 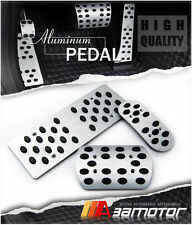 touch of performance with this Manual Shift (Clutch) Aluminum Pedal and Footrest kit! Sedan / Saloon; not for Wagon. 1 Painted Rear Trunk Spoiler. Peal off the pre-installed 3M tape and fix on the right place. No need to drill any hole. Type OE Type. Year 2012-2019. Now you can with thisCarbon Fiber Strut Tower Bars for the Scion FR-S or Subaru BRZ ! It is important to put pre-load on the strut tower bars to minimize chassis flex to improve the handling characteristics of the car. All new design! These pillar panel covers are made from real, high quality and authentic Dry Carbon Fiber ! Installation instructions are included. W205 C-CLASS SEDAN CARBON FIBER PILLAR PANEL COVERS. 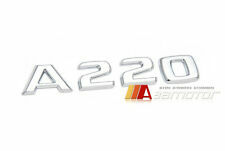 HONDA S2000 S2K AP1 AP2 CR F20C F22C Carbon Fiber Mirror Covers. These high quality carbon fiber mirror covers will go directly on top of your mirror covers to give your Honda S2000 that extra touch of style! 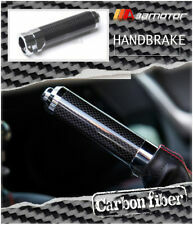 Carbon Fiber Handbrake E-Brake Handle (Black) for EVO 7, 8 & 9. This kit includes: 1 x hand brake, 2 x Set Screw and 1 x Allen Wrench (Installation Tool). The handbrake handle is made from high quality carbon fiber with shiny black finish. Mitsubishi Evolution EVO 5. Mitsubishi Evolution EVO 6. Mitsubishi Evolution EVO 7. Mitsubishi Evolution EVO 8. Mitsubishi Evolution EVO 9. for EVO 5 6 7 8 & 9. Carbon Fiber Engine Cam Belt Cover. 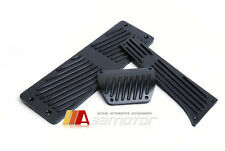 Carbon Fiber Rear Window Vents for Mitsubishi Lancer EVO X. Now you can add both style and performance to yourEVO 10 with just one mod! Mitsubishi Evolution EVO 10. Material: FRP (Fiberglass Reinforced Plastic) and CFRP (Carbon Fiber Reinforced Plastic) finish. R35 Carbon Fiber Center Console Cover Shift Surround Lever Cover. This carbon fiber shifter bezel panel cover set will provide a great carbon accent to increase your driving pleasure! 2008-2015 NISSANGT-R R35 LHD only. 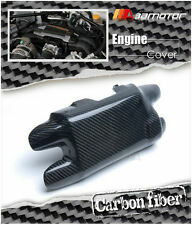 Carbon Fiber Engine Room Spark Plug Cover for EVO 7 8 & 9. Mitsubishi EVO 7. Mitsubishi EVO 8. Mitsubishi EVO 9. Great looking and perfect fitting Carbon Fiber Engine cover to dress up your engine bay! Model F10 5 Series. Type M5 Style. Material Carbon Fiber Texture. Emblem: Sport x 2. We Stand Behind the Quality of Our Products and Service. E84 X1 CARBON FIBER REAR TRUNK SPOILER. This is New Style trunk spoiler for theBMW E84 X1 ! Now you can add both style and performance to your BMW with just one mod! And don’t forget, they look way-cool! Mitsubishi Evolution EVO X. 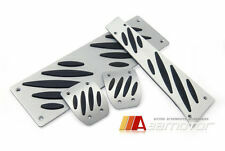 Another great carbon fiber accent for your EVO 10 from 3AMotor! These are not CF covers - they are OEM J-panels from Mitsubishi wrapped in carbon fiber! Install is literally a snap! 2009-2015 BMW F01 F02 7-Series (730i/Li 740i/Li 750i/Li 760i/Li…). 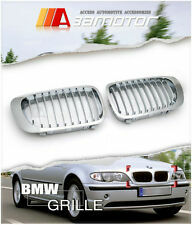 These high quality front grille sets are specifically designed to give your BMW7-Series F01/F02 a whole new, more aggressive and stylish look! BMW F10 F11 F07 5-Series steering wheel. Made from carbon fiber with clear coat finish. Real premium quality carbon fiber material manufactured to perfectly fit your F10/F11/F07 5-Series. Upgrade with a quality carbon fiber finish that will give your BMW an extra touch. Mitsubishi Evolution IX EVO 9 only! Carbon Fiber Front Bumper Dual Air Intake Ducts for EVO 9 Bumper. These carbon fiber air ducts for your EVO 9 are designed to allow cool air to flow directly to the air filter and help maintain lower temperature, and better fuel efficiency. These high quality front grille sets are specifically designed to give your BMW 1-Series a whole new, more aggressive and stylish look! The fit is perfect and to OEM specs, installation can be done in less than 20 minutes! 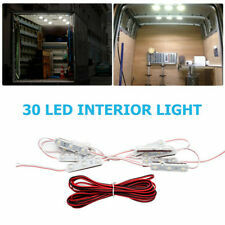 W463 G500 G55 G550 AMG TAILLIGHTS LAMP SMOKE/CLEAR. Made with highest quality materials, they are built to last and keep on shining bright! The smoke tinted covers have a subtle but cool effect on the overall aesthetic of your vehicle. All new design! These pillar panel covers are made from real, high quality and authentic 3D Carbon Fiber ! These pillar panel sets for the 1999-2006 E46 Coupe are just the thing to give your Infiniti a newer, sharper, more aggressive look!